Stay rock solid at the back and keep attackers at bay in a pair of these innovative football boots. This post was originally created on 17th October 2018, and has since been updated to include all the latest boots for 2019. Modern defending involves much more than just lumping it to the other end of the pitch. A good centre-back needs to be quick, agile and comfortable on the ball, with the desire to put his head in when he knows it’s probably going to hurt. It’s one of the most difficult positions to play in, requiring defensive players to consistently throw their bodies on the line as they lunge in to make tackles, blocks and towering headers. When you’ve been handed so much responsibility, you’re going to need a pair of football boots that help you stay rock solid at the back. So, what are the best boots for defenders in 2019? 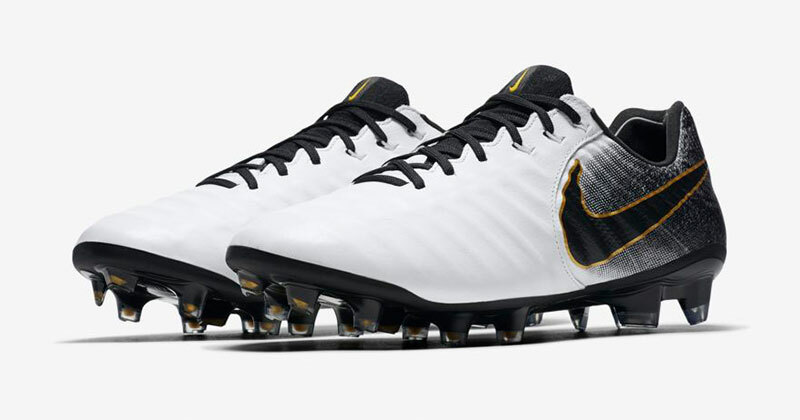 This is the perfect football boot for defensive leaders. If you’re a player that likes to set the tempo, maintain the line and ultimately bark orders at everybody else, then you need to sink your feet into the Nike Tiempo Legend VII. The Tiempo has always been designed with comfort in mind, helping players remain composed and relaxed on the ball. 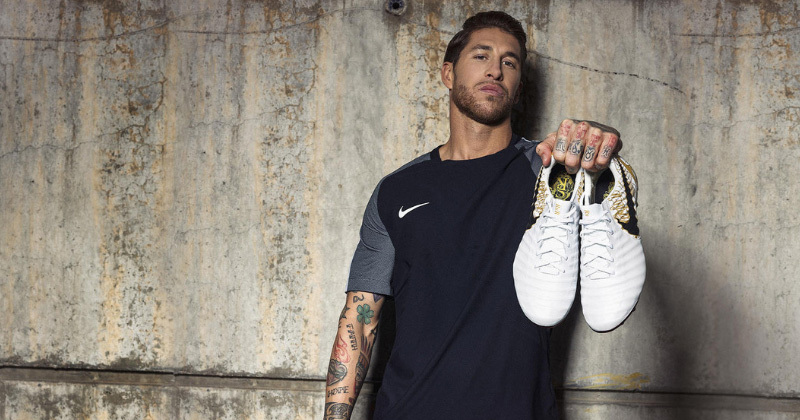 The Legend VII utilises a stunning Flyknit K-leather upper, designed to enhance touches on the ball and offer greater levels of support and extra protection, while it’s also 22% lighter than previous Tiempos. 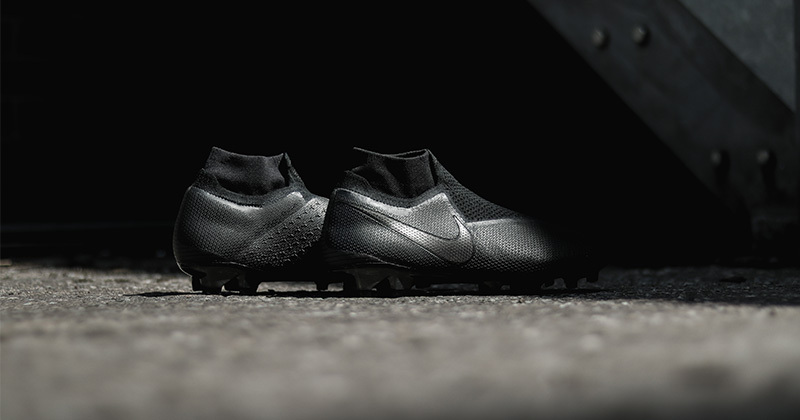 With Flywire cables locking the foot into place and the use of Nike’s innovative All Conditions Control technology, these boots help you prevent any costly mistakes at the back. But, if the Legend VII is a little too expensive, then there are plenty of cheaper Tiempo football boots perfect for solid centre-backs. Nike ‘Game Over’ Tiempo (White/Black), Nike ‘Game Over’ Tiempo (Racer Blue/Metallic Silver/Black), Nike ‘Raised On Concrete’ Tiempo (Black/Light Crimson), Nike ‘Stealth Ops’ Tiempo (Black) Nike ‘Just Do It’ Tiempo (White/Blue Hero), Nike ‘Fast AF’ Tiempo (Black/Total Orange), Nike ‘Lock In Let Loose’ Tiempo (Laser Orange/Black), Nike ‘Fire’ Tiempo (University Red/Black). Who Wears Nike Tiempo Legend VII? Sergio Ramos, Thiago Silva, Gerard Pique, Virgil van Dijk, Jerome Boateng, Eric Bailly, Jan Vertonghen. Modern defenders are now expected to play out from the back, and the adidas Predator is perfect for helping you do exactly that. 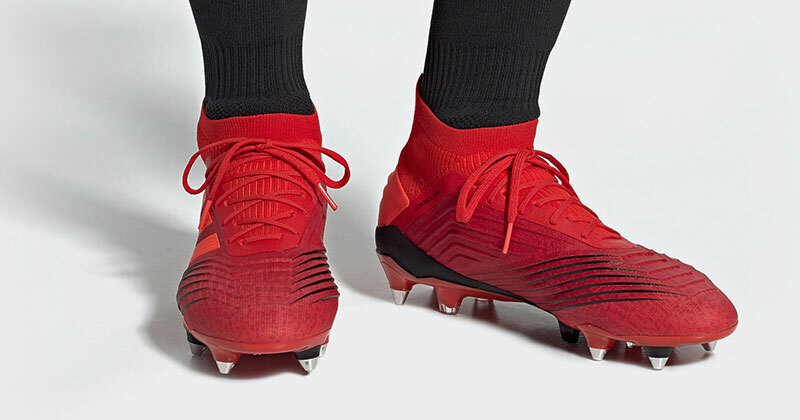 Comfortable, flexible, and surprisingly lightweight, this new generation of Predator is a serious upgrade on the older designs. A ControlSkin upper keeps the ball firmly stuck to your feet, while the flexible PrimeKnit SockFit collar and moulded heel offer a more comfortable fit. Of course, they’re also built to match the pinpoint precision offered by Predators of old. Comfortable, stable, and now available in all-red, the adidas Predator is a great option for defenders that like to get on the ball more. Phil Jones is wearing these at the moment- but don’t let that put you off! adidas ‘Exhibit Pack’ Predator (Core Active Red/Solar Red/Core Black), adidas ‘Team Mode’ Predator (Core Black/White/Red), adidas ‘Energy Mode’ Predator (Solar Yellow/Core Black), adidas ‘Cold Blooded’ Predator (White/Core Black/Red), adidas ‘Spectral Mode’ Predator (Trace Pink), adidas ‘Deadly Strike’ Predator (Unity Ink/Aero Green). Who Wears Adidas Predator 19.1? Mats Hummels, Phil Jones, Miranda, Thomas Vermaelen, Nacho Fernandez, Fabinho. The PhantomVSN was built to “spark fear in the hearts of defenders”, but it’s more than capable of working the other way around. For a start, Nike’s latest silo has been created with comfort and ball control firmly in mind: two things every defender needs to have in abundance. In fact, you could even argue the flexible knit construction is perfect for making lunging challenges and stretching to get a toe on the ball. The PhantomVSN conforms to the shape of the foot, fitting like a sock and giving defenders fantastic control over the football; while it also features the same ACC technology as the Tiempo. However, this is a brand-new silo, so it’s obviously a little on the pricey side. If you want to try something a little cheaper, then some Nike Magista Obra boots could be right up your street. Nike ‘Raised On Concrete’ PhantomVSN (Platinum/Light Crimson), Nike ‘Stealth Ops’ PhantomVSN (Black), Nike ‘Rising Fire’ PhantomVSN (Bright Crimson/Metallic Grey). Raphael Varane, Samuel Umtiti, Marquinhos, Leonardo Bonucci, Dani Carvajal, Nicolas Otamendi. So that rounds up our look at the best soccer cleats for defenders in 2019. Fancy a pair of these stunning football boots? Compare prices at FOOTY.COM to bag an awesome deal and tackle those hefty price tags. If you’re more of an attacking player, then check out our blogs on the best for football boots 2018 for midfielders and strikers! FOOTY.COM compares prices on every soccer cleat out there in the market right now including the Puma evoPower, another great defender’s boot, to get you the best boot offers around. Offering a sweet strike and unstoppable power, these boots are absolutely deadly in front of goal. Pulling the strings and dictating the play, these boots are the ultimate weapon for midfield maestros.